This lovely shaded coat is great to wear. It has a good swing, raglan sleeves, side splits and pockets, hand-binding around the edges. 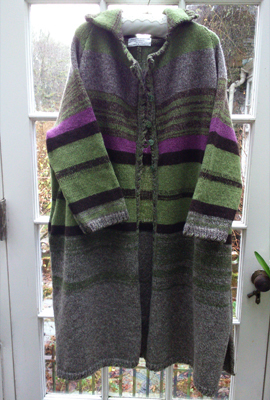 Made in green and greys with a heather stripe and vintage buttons. Wool and cashmere. Also made in shades of reds, and shades of blue.